At DAMA we are developing an introduction to our best practices in data management in order to create, encourage and share standard practices in our industry. The DAMA-DMBOK Framework – a published short summary of the full DAMA Guide to the Data Management Body of Knowledge (DAMA-DMBOK Guide) is now in its third version. The updates in the last year reflect the findings and changes that have been necessary as we write the full fleshed-out Guide based on the pattern in the Framework. Even now, before the 2009 publication of the full Guide, the DAMA-DMBOK Framework is having an impact in industry. Papers are being presented at symposia showing the ability of the Framework to foster understanding, influence and improve standards. This short report will explain some of the buzz around the much anticipated DAMA-DMBOK Guide and give you an understanding of the DAMA vision and goals for the DAMA-DMBOK Guide, the anticipated audiences and uses. These standards, principles and best practices will help business data stewards and data management professionals perform more effectively. Moreover, they will also help us communicate regarding the importance of data management with our teammates, managers and executives, and provide a framework for developing thought leadership development that links to education delivery. They will assist executives to understand, support, fund, staff and monitor data management functions. The DAMA-DMBOK Guide will be an integrated primer – a “definitive introduction” to data management concepts. The Guide will not be an exhaustive discourse, but will point to additional sources. To develop, build consensus and foster adoption for a generally accepted view of data management. To provide standard definitions for data management functions, roles, deliverables and other common terminology. To introduce widely adopted practices, methods and techniques, without references to products and vendors. 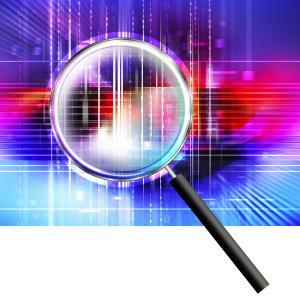 To identify common organizational and cultural issues. To guide readers to additional resources. To provide an authoritative data management reference for educators and students. Some of these goals are community and consensus building, others are educational. At DAMA, we believe that we are in a unique industry position as a global not-for-profit, vendor neutral organization to launch this kind of large scale project for the data professional, the data industry and educational institutions. The DAMA-DMBOK Guide is geared to a broad audience in order to achieve the above goals and the reach all types of stakeholders in the data world. As a seminal effort that collectively summarizes our professional understanding of data, it is a living document that will be a basis for testing assertions and broadening understanding. A section on roles and responsibilities will aid in the design of data organizations. Roles can be referred against each other for coverage on a project or organization, as well as for personnel development. Early on in the development of the DAMA-DMBOK© framework, the mapping to the certification exams was obvious in order to develop alignment and to verify the exam streams and content. This is a continuing effort as more candidate exams are being developed for the CDMP. ICCP has issued this mapping. Current core exams in the CDMP that are sponsored by DAMA include the Data Management, Database Management, Data Warehousing and the Business Intelligence, Data and Information Quality, and Business Process Management. The Zachman Architecture Framework is currently under development and will be offered as part of the certification. Organizations can prioritize their strategies based on the goals they want to achieve and best practices of DAMA-DMBOK Guide. Each chapter/function has a section on organization and cultural issues, the best paths to success and potential obstacles when trying to adopt the practices in that chapter/function. The best practices in data management are presented and summarized. The performance of these practices, based on industry and organization need and the depth of coverage and breadth of functional areas covered, can be assessed for organizational data maturity. This Guide outlines techniques in the functional areas for improvement in organizational data management. Business process improvement efforts can be supported by good data management practices. We have already seen RFPs in the data industry reference practice in the Framework as a standard that they support and have as part of their offering. The Guide is mapped to the DAMA “Model Curriculum Framework for Post Secondary Education Programs in Data Resource Management” so that course and content can be framed. As an overview, the Guide can be analyzed for possible gaps and uncertainties in the best practices, or new ideas for techniques and tools. As a concise summary, the guide is a guide to secondary research topics and course textbooks on data management. The GEIA (Government Electronics Information Association), a U.S.-based volunteer organization of industries supplying the government also has a DMBOK. Mapping of their framework to the DAMA-DMBOK© Guide expands the reach of both efforts and fosters a common understanding. Other BOKs or best practices continue to be sought out and understood. 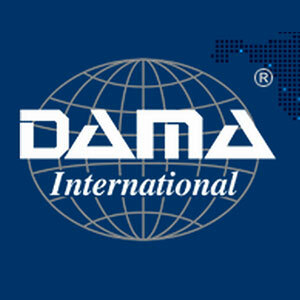 Download a free copy of the current DAMA-DMBOK Framework v 3 from the DAMA International website (www.dama.org). The DAMA Dictionary of Data Management (2008) is now available through amazon.com and is the glossary for the DAMA-DMBOK© Guide. The DAMA-DMBOK Guide is due for publication in 2009.